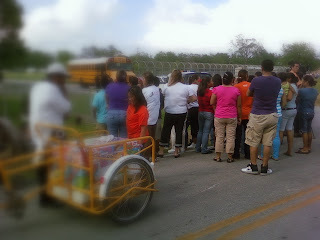 Posted in Uncategorized | Comments Off on SUPPORT MELISSA WILSON AS SHE TRIES TO HELP THE CHILDREN! 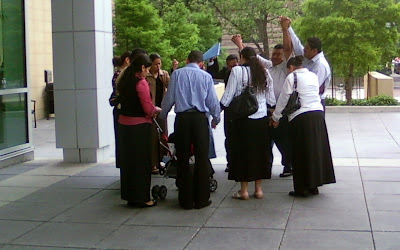 Posted in Uncategorized | Comments Off on A FAMILY THAT PRAYS TOGETHER! Posted in Uncategorized | Comments Off on THE MIDDLE AGED MAN WHO LIVED IN A SHOE! 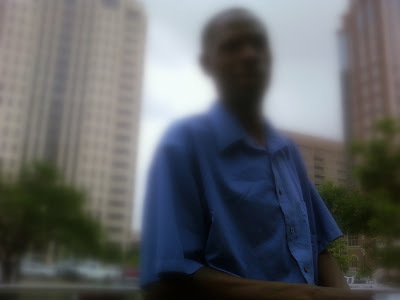 Posted in Uncategorized | Comments Off on RACE DOES MATTER! Posted in Uncategorized | Comments Off on 13 YEAR OLD ACCUSED OF SEXUALLY ASSAULTING CLASSMATE: DO YOU BELIEVE IT OR NOT? A CONFIRMED CASE OF SWINE FLU IN HISD! 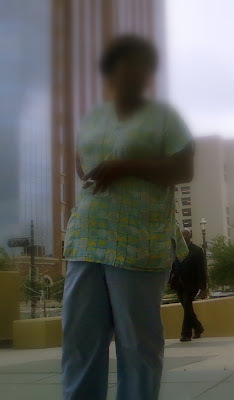 Posted in Uncategorized | Comments Off on A CONFIRMED CASE OF SWINE FLU IN HISD! THE LATEST INFORMATION IN YOUR COMMUNITY! The city has informed HISD of a confirmed case at Lyons Elementary School. We are in the process of closing down the school and are sending an automated phone message to parents. We are asking parents to pick up their children as soon as possible. Our staff will stay with the students until all the parents arrive. We are calling parents of special education students by telephone. GET A BREAK ON THOSE OLD TRAFFIC TICKETS AND COURT CASES! 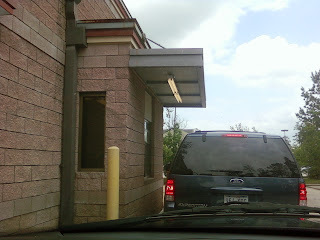 Posted in Uncategorized | Comments Off on GET A BREAK ON THOSE OLD TRAFFIC TICKETS AND COURT CASES! HAVE YOU OR WILL YOU USE THIS AMNESTY PROGRAM! 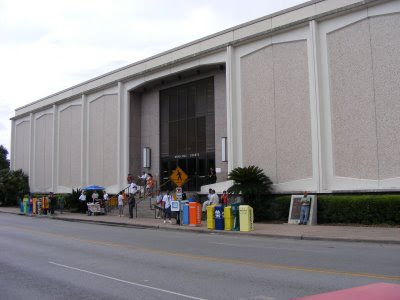 Effective FRIDAY, MAY 1, 2009 through SATURDAY, MAY 16, 2009, the City of Houston Municipal Courts will conduct an AMNESTY PROGRAM for qualifying defendants who have outstanding warrants and/or delinquent parking citations. All delinquent cases issued prior to and including February 28, 2009, qualify to be resolved under Amnesty guidelines and procedures. Only the defendant named in the citation or their attorney can participate in the amnesty period. Bonding companies, friends, relatives, and spouses cannot make the request on behalf of someone else, except when paying a Capias Pro Fine, which is a previously adjudicated case. The Amnesty guidelines do not apply to previously adjudicated cases where the defendant failed to pay the fine, failed to take defensive driving, or failed to complete community service, and are now in Capias Pro Fine status. The Amnesty guidelines do not apply to a defendant that is in custody. All minors under the age of seventeen (17) are considered “Juveniles”, and must appear in Court with a parent, guardian, or managing conservator to handle their cases including defendants charged with Minor in Possession of Alcohol or Minor in Possession of Tobacco cases. Defendants (17) and older are considered “Adults: (even if their citation was issued when they were a Juvenile) and their case(s) may be addressed and resolved as an Adult. Ø Defendants/attorneys who voluntarily pay the standard fine in full on all of their outstanding delinquent (warrant status) citations will not be assessed additional warrant fees or arrest fees. Ø Defendants who voluntarily pay the standard fines in full on all outstanding delinquent (warrant status) citations, will not be assessed an additional “Failure to Appear” (FTA) charge. Additional violations of a FTA will be assessed at 50% of the standard fine. Ø Defendants with one or more charges of FTA with no associated underlying cases(s) may pay a reduced fine of 50% of the standard fine. Any defendant who voluntarily appears in the Municipal Court during amnesty will be permitted to pay all outstanding unadjudicated delinquent cases with assessment of FTA fine and warrant fees and will not be subject to arrest and incarceration. BREAKING NEWS: TWO HISD SCHOOLS TO CLOSE BECAUSE OF SUSPECTED CASES OF SWINE FLU! Posted in Uncategorized | Comments Off on BREAKING NEWS: TWO HISD SCHOOLS TO CLOSE BECAUSE OF SUSPECTED CASES OF SWINE FLU! KEEP YOUR CHILDREN AT HOME IF THEY ATTEND THESE HOUSTON SCHOOLS! Harvard Elementary School and Hamilton Middle School are closed until further notice. Late last night the City of Houston Health Department informed HISD Superintendent Abelardo Saavedra of two probable, but not confirmed, cases of swine flu and advised the district to immediately close both schools as a precaution. The principals of both schools sent out automated phone messages shortly after midnight to parents and staff in order to give them as much notice as possible. Parents and staff were advised that if anyone in their household develops any flu-like symptoms such as fever, cough, sore throat, body aches, headache, chills and fatigue that they should seek medical treatment. Swine flu can be effectively treated by doctors. HISD and the City Health Department will hold a joint news conference at 9:00 a.m. at the Hattie Mae White Educational Support Center (4400 West 18th, 77092). 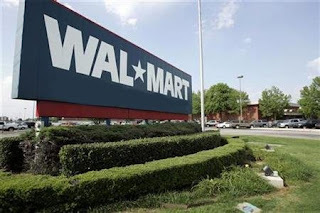 Posted in Uncategorized | Comments Off on DO YOU WANT YOUR OWN ETHNIC WALMART? POOR TIMING WITH AN EFFORT TO FEED THE POOR! Posted in Uncategorized | Comments Off on POOR TIMING WITH AN EFFORT TO FEED THE POOR! 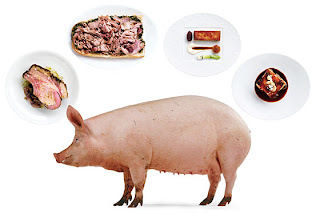 SWINE IN EVERY TEAXAS POT! It was probably a publicity nightmare if you ask me. Just as the swine flu scare was really gaining momentum in Houston on Monday a national public relations firm sent out a press release. That release indicated a local food pantry/bank was handing hundreds of pounds of pork meat to those in need. Now that the swine flu is a big concern as well as pork consumption, I’m sure the p-r firm would likely re-think their big Houston pork giveaway. Do you think it was poor time or does it matter? Posted in Uncategorized | Comments Off on I KNOW YOUR FRIEND WAS JUST KILLED BUT DO YOU WANT TO BUY AN ICE CREAM? 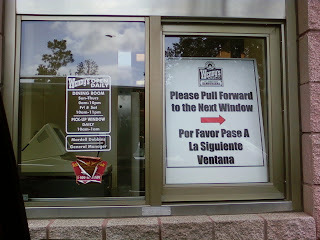 Posted in Uncategorized | Comments Off on WHY DO FAST FOOD JOINTS EVEN HAVE THAT FIRST WINDOW!